Well what do you know! It’s only time for another book review… so here it is. Blurb: Tragedy . . . heartache . . . how much more can Tyler Montgomery and John Webster take? This missions trip, the “healing” one, has only added fresh layers of pain. Construction of an orphanage in Haiti’s northwest . . . yes. But a doomed rescue operation, human traffickers, human anomalies, extreme personal danger . . . risk of death? They hadn’t signed up for those. Turning their backs on the crisis, however, is unthinkable, it’s just not who they are. My thoughts: After a shared loss Tyler and John decide to get away for a while and go to Haiti to help the construction of an orphanage. What they didn’t expect while they were there was for a small child to be abducted, they certainly didn’t expect for no one, not even the authorities, to have any intention of doing anything about it. Unable to accept the situation Tyler and John decide to do all they can to track the girl down and bring her home. They had no idea what they were getting into as they came face to face with violence, danger and threats of death. This is a great read with plenty of twists as we discover the world of human trafficking, from the view of Tyler and John, those who have been taken, and also a glimpse into the darkness of the mind of the traffickers. A well written and enjoyable read, I would recommend it. Where does all the time go? It doesn’t feel like we should be nearing the end of January already – and yet here we are. And here I am with my latest book review. Blurb: Forrest Robert Stepnowski captures the essence of “coming out” and coming of age as a gay male today, and over the past three decades. “Journey to the Rainbow’s End” captures the joys of love, the pain of heartbreak, surviving the darkness of suicide, and the self-discovery of finding one’s voice and place in society. Forrest Robert Stepnowski is a community advocate, a writer, a social worker, and a female impersonator, known as Victoria Eyesli, in the Pacific Northwest. He has been writing poetic works and prose for many years, and focuses on empowering others who have dealt with similar pathways of self-hate, self-deprecation, and self-loathing, in the hopes they can find they are not alone, that they are not deviants, nor are they against “human nature.” We all have voices, and the world should hear them all. My thoughts: This book feels, from the outset, incredibly personal. We are given a glimpse into so many, often devastating, painful moments in the life of a young gay man. Split between a collection of poems and a short story you really share in the anguish of finding yourself in a world that seems to be telling you that you’re somehow wrong. The thing I especially loved about this book is the lasting feeling of hope. Yes, the journey was long and painful but ultimately, as the saying goes, “it gets better”. Blurb: 1st Place Runner Up in Rave Reviews Book Club’s Alpha-Omega Short Story Writing Contest 2018. Tequila Rose may have met the man of her dreams. Unfortunately, she wakes up suffering from alcoholic amnesia and doesn’t remember anything about the night before. Tall, dark, and Jack may be the cure her jaded heart desperately needs, but Tequila’s wary as friends warn her that Jack hangs out with the local drug dealer. Thrust together at a Speed Dating event, their chemistry sizzles, but is Jack after a different kind of fix? My Thoughts: A great short story which opens with the most agonising hangover imaginable – anyone who has ever over indulged will not be able to help but sympathise. And, as with all good hangovers, Tequila Rose not only has a bad head and churning stomach – she also has a total lack of recall when it comes to the evenings events. This is a great little tale of love, alcohol and zany relatives. The character of Tequila Rose is very real and relatable – and the people in her life round her out completely. Enough twists in the tale to keep a reader interested to the last page. Some adorable illustrations dotted through the story and what a gorgeous book cover! Blurb: This book consists of two short stories and one poem from award-winning author, Jan Sikes, in response to a writing challenge from the RAVE REVIEWS BOOK CLUB. How far will one man go to satisfy an obsession? The price could cost him his life. Is it possible to pray up a baby? Frank and Mary Pyburn are convinced that is what they’ve done. Sometimes it’s better to remain friends, instead of giving in to desires and crossing a line. My Thoughts: A quick and enjoyable read made up of two short stories and a poem. Obsessed – this story had a real feel of the location/people/era – the dialogue and descriptions perfectly illustrate a mans obsession with the woman he wants to marry, and the incredible lengths to which obsession can drive a person. Maggie – this is a cute, gentle tale of a found baby and the couple who take her in. A good blend of happy and sad round this tale out perfectly. Friends Instead of Lovers – this short poem sums up the potential peril of turning a friendship into something more, and losing the thing that made the friendship so special in the first place. All in all this is well worth a read – short and satisfying. Another sunny weekend means only one thing – time to relax and read. Which now means time to share with you all my thoughts on the book I have just finished. Blurb: For the final installment of the Circus Tarot Trilogy as well a tie in with Hydrangeas on the Lanai (Charles W. Jones), inspired by Clive Barker’s Weaveworld, Charles brings World Circus. Bizarre events won’t allow Susie to return to World Circus, and she discovers at the same time, she is no longer Page of Buckets, leaving her with the question of “who am I?” Each time she closes her eyes to sleep, she learns more and more of how the strange world and its inhabitants were created. An unsettling vision of a massacre leaves her shaken, leading her to the woman who created the Circus Tarot. My thoughts: So at last the trilogy draws to a close and piece by piece we learn the origins of this strange world. Time has passed and Susie learns that her role in the circus is about to change, she just doesn’t know who she is to become and the truth is revealed slowly through a series of strange, and often disturbing dreams. I must admit that I didn’t quite enjoy this book as much the previous two but that said it was still a well crafted tale and it was satisfying to discover where this strange world originated. The flipping between the different times took a little getting used to but that became easier the more you read. Blurb: Slumped over the toilet bowl in his slum apartment, Bart’s high-rolling lifestyle isn’t exactly coming up roses. Alcohol, affairs, and a skill exploited for short-term gain have rewarded him with divorce, bankruptcy, and unemployment. A world away, a wizard-apprentice confronts a foe as threatening as the once-dominant age of Dragon’s Rule. But to triumph, he will need Bart – a washed-up derivatives broker – plucked from a last-ditch job interview and thrust into a testing ground, where a knight with a penchant for lopping off heads will either groom him for the world beyond or murder him in the process. Exiled dragon-lords, grass-eating giants, impetuous warriors, troll assassins, ribald dwarfs, evil men, and vengeful women seek to save themselves from a flawed world of failing magic. With hungover Bart at its epicenter, what can possibly go wrong? My thoughts: Bart’s life is a mess, unemployed and living in a run down apartment the only relationship he has is with the bottle – not exactly what a hero is made of. A hero is exactly what he needs to become if he’s going to help battle the evil growing in another world. It took me a couple of chapters to properly settle into this book. I think with fantasy novels set in other worlds you need a bit of time to get to grips with who (or what) the characters are but as I read further I became completely immersed in this fantastical world. There are several story lines running, all of which slowly begin to entwine each one adding to the others. The characters are a varied bunch, human like and not, good and evil or often a little bit of both, and Bart is our touchstone. The “normal” man trying to understand exactly what is going on while hoping he can find his way back home. If you’re a fan of fantasy then you will love this book. If you’re not a fan of fantasy just try it anyway, you might well become a fan! The only thing about this book that was disappointing was getting to the end and realising the next instalment is not yet out! Blurb: My name is Kai Okamoto. I deal drugs. Trade escapism for cold, hard cash. Born to a British mother and a Japanese father, I grew up poor, hungry, and alone. Hiding from the monsters at our door. The debt collectors. I’ve worked hard to escape my past. I’m not that frightened little boy anymore. I’m wealthy, secure, and sure of myself. At least I was, until I met Lily. Lily is a good girl. The kind of girl I should stay away from. I should, but I can’t. I hate lying to her, but if she finds out who I am, what I do. I won’t see her for dust. A standalone, bad boy romance, set in England. My thoughts: Lily is a nice “ordinary” girl. When she gets her bag snatched, taking the last of her money, she thinks life has hit rock bottom. Then she meets Kai, the handsome, mysterious stranger who returns her bag and quickly charms her. Instead of a stolen handbag Lily quickly becomes the victim of a stolen heart. Kai seems to be the perfect man, handsome, charming, kind and generous. Unfortunately he has a secret that could tear their relationship apart. I enjoyed how this story unfolded, the narrative alternating between the two characters view points so we had a full picture, even if they didn’t. It was well written and an easy read which kept me turning the pages to see how things would unfold with realistic relatable characters. Well worth a read! 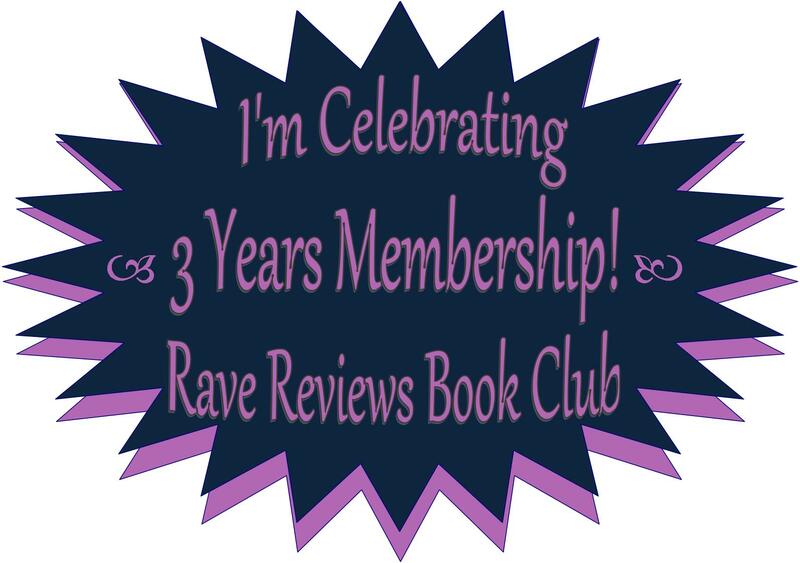 Rave Reviews Book Club is the place to be if you are seeking amazing author support for your writing. Our books are being purchased, read and reviewed on a regular basis. Interested? JOIN US! I am an RRBC Recruitment Affiliate so please be sure to list my name on your application. Please invite all your friends to join, as well, and ask that they also list my name as their referring source, unless of course, you decide to also become a RECRUITMENT AFFILIATE after you join, which would be simply awesome! ~ Thanks in advance! Raised an only child by a mother who never hid her resentment Ellie learned from an early age to be self sufficient. Finally moving away from her mother's negative influence Ellie thought her small run down flat was a little piece of paradise. The old book she found hidden away didn't seem to be anything remarkable but Ellie soon discovered that it contained far more than just the words on the pages. Ellie soon discovered that not only did magic exist but it was within her reach. Human love can last a lifetime, the love of a Goddess is eternal. There was a time when the Gods and Goddesses watched over the world, a time when they were worshipped and loved, but that time has passed. Their names became legends, those legends became myths and eventually even the myths were forgotten... but not by everyone. Kia Deering had lived an ordinary life, raised by a loving mother her life was happy, but simple. On the morning of her eighteenth birthday everything began to change. Kia expects a day filled with excitement and fun, what she does not anticipate are the events that will change her life forever, turning the reality she believes in on its head and introducing her to the existence of the Goddess Assaie.